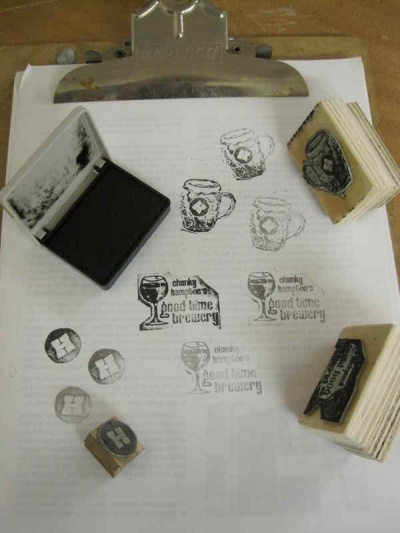 This is a guide to making rubber stamps on the Laser Cutter. I had to buy this in bulk as shipping was quite expensive. Its around £7 a sheet, plus £6 p&p, plus VAT. If you would like a small bit to try then I am selling the excess from mine at £5 for an A6 piece (1/4 A4 - enough to make a load of stamps). Email matt_AT_re-innovation.co.uk. You will also need a rubber stamp ink pad and some structure to hold the stamp (a block of wood with a handle). 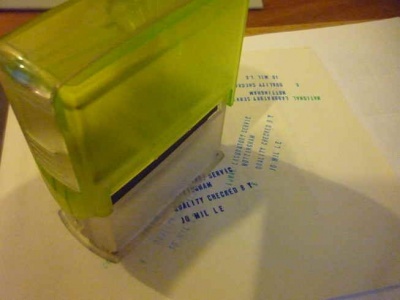 I used this automatic inking rubber stamp as it was going up for grabs. Also remember is to mirror the image, as it will be printed in reverse (I didn't do this on my first one). Export it as a bitmap or jpeg. First you will need your image file. This can be any image format ( .jpeg, .png, .bmp etc). As we cannot do greyscale with a stamp, the best images have a very definite edges. Thin lines do not work very well. We must convert image into 1-bit image (black or white). This can be done in different graphics packages. Here we are using an open-source and free to download package: GIMP (an image processing package). For the stamp we need the image to be mirrored in the left-right plane. Then click on the image. Create an area around the image to give us room to cut out the stamp. Go to: Image -> Canvas Size. Then add around 20mm to both the width and the height. Click: "Centre" to put the image into the, er, centre. You can adjust the slider on the threshold to show the best image. Then click on: "Use black and white (1-bit) palette"
This must be saved as a .png file for LaserCut 5.3 software. We will be using the laser cutter as a laser engraver (actually thats what this laser machine is). Use “GradeEngrave” option. 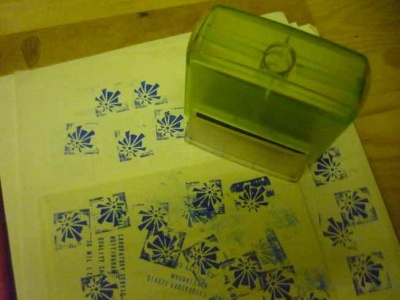 This gives a ramp up to the main design, which allows for better, less ‘squidgy’ stamps. 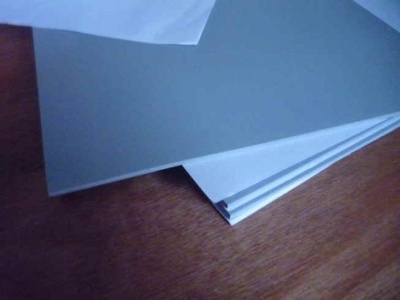 Settings for laser rubber: The settings are very similar to 3mm plywood. 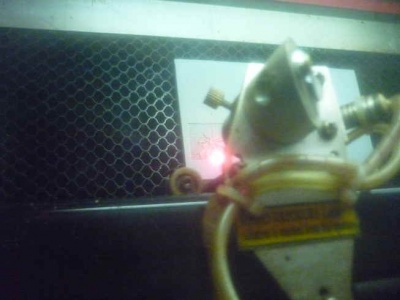 We set the scan gap to around 0.15mm (the laser beam is around 0.2mm, so we need to be less than that). The min-power setting is set to 0%. The grade-width depends upon the image and detail. A good setting is 1.5mm. Test this is OK using: Laser -> Simulate This might take a long time, but shows that the laser will do the right thing. We can add a shape (circle or box) around the image which will be cut out - this is done with another layer in LaserCut 5.3. The rubber should cut through at 65% power and 20mm/s. 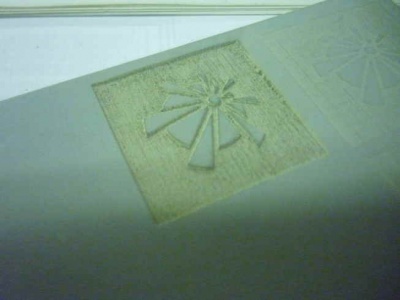 Then export to the laser and perform the cut. Cut the stamp out either with the laser cutter (put a shape around the stamp and use this as a cut layer) or just with a sharp knife. Any point edges might affect the stamp, so go pretty close to the raised surface. You can see in the next photo that I get a load of ink around the edges. I should either cut it off or stick it down onto a more rigid surface. Glue the stamp onto some wood backing (with handle added). Prime with ink and stamp everything in sight. This page was last modified on 22 March 2019, at 20:06.